Our next livestream will be Sunday, November 22nd, at 5pm EDT / 2pm PDT. We will be talking about our thoughts on the new expansion and more. Plus, we will announce the winners of the Audio Clip Contest! Please stop by and join us as we discuss hot topics, maybe a cool refreshing beverage and of course experience all kinds of fun. See you there! One of the things our team is exploring is to continue giving increased value to your subscription time. 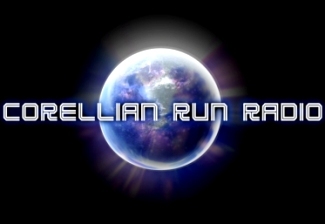 Example being the additional rewards we issued each month of being a subscriber leading up to Fallen Empire’s launch. After some internal discussion, we decided, why not just go to the source to get some of your feedback as well! At the bottom of this post you will find a link to a survey which will get your insights into the types of things you like, and would like to see as a subscriber reward. If you have time please take a few minutes and fill out the survey. I am happy to see BioWare reaching out to subscribers to find out what they want. This is the kind of communication that BioWare needs to do more of with the community. However, I am not sure the items they suggested are what subscribers are wanting. As a subscriber, I feel more content like exclusive areas, vendors, or possibly a crystal conversion tool would have been more appropriate reward ideas. What are some thoughts that you have on rewards? Let us know in the comment section below. 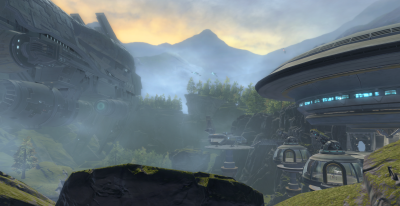 Don’t forget to share your thoughts in the survey link from BioWare. I talked to Matt about Alliance, Companions, and your questions specifically related to accessing future Companions. Between this thread and the ones linked in the OP, I think there are two main questions you are looking to have addressed. Will I need to complete currently available alert Missions to unlock future alert Missions? As of right now, the answer to this is yes. Inside of each Alliance Companion type (Military, Underworld, etc), the Companion recruitment alerts are very much looked at like a Mission chain. Generally, you must complete one alert Mission before you will receive the next. Note that you only need to complete the Mission itself, not necessarily recruit any Companion associated with it. There may be exceptions to this later on, for story reasons, but this is the general rule right now. It is worth noting that this is something the dev team is talking about, so it could change, but this is how it works right now. Will I need to PvP for future Companions / Will I need to unlock Companions like Pierce to access future Companions? The answer to your question is maybe. We are open to the possibility of future PvP related Companions/Mission content which could require the completion of M1-4X/Pierce’s Missions. That said, we would not likely have PvE related content require it. I think that should answer the primary questions that you have! Let me know if anything requires further clarification. Thanks! These two questions are a couple of the prominent ones surrounding the recruitment aspect of the Alliance portion of the expansion. Obviously by now, many understand that as the Outlander you are in charge of the newly formed Alliance and it falls upon you to help recruit “talent” to this galactic Alliance. As you get sent on these missions to recruit new potential allies, you will typically be required to perform a task or complete a quest to garner enough influence to bring them to the Alliance. Currently, as the above post mentions, there are two quests that require a PVP requirement to finish. I think the solution is already present in other Alliance quests. Offer an alternate means of acquiring various companions. Instead of so many completed PVP matches at level 65, how about it costs so many Warzone comms? This would allow players to play lower level brackets in Warzones and then pass the comms on via the Warzone legacy boxes. Another means would be to include Galactic Starfighter or even Planetary Commanders which would increase participation in Weekly Conquest. I understand wanting to include other aspects of gameplay in these quests, but why not offer multiple ways of completing these quests. What do you think? Please add your suggestions in the comment section below. 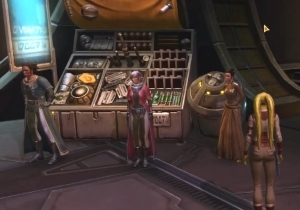 This week’s SWTOR music video is from a guild on the Shadowlands server, Covenant of the Phoenix. The video is set to the epic sounding musical score entitled. “United We Stand, Divided We Fall” by Two Steps from Hell. 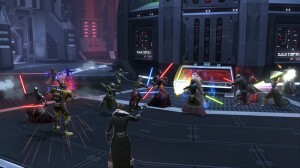 The music serves as the perfect base for the video footage from various Blur trailers for SWTOR, ingame cutscenes, and gameplay from SWTOR. During the collaboration of music and images, the guild has added text telling viewers about their guild. The text does a good job of informing without detracting from the artistic presentation of the video. Please tell us what you think of the video. If you happen to be on the Shadowlands server you might want to inquire about the guild, Covenant of the Phoenix.